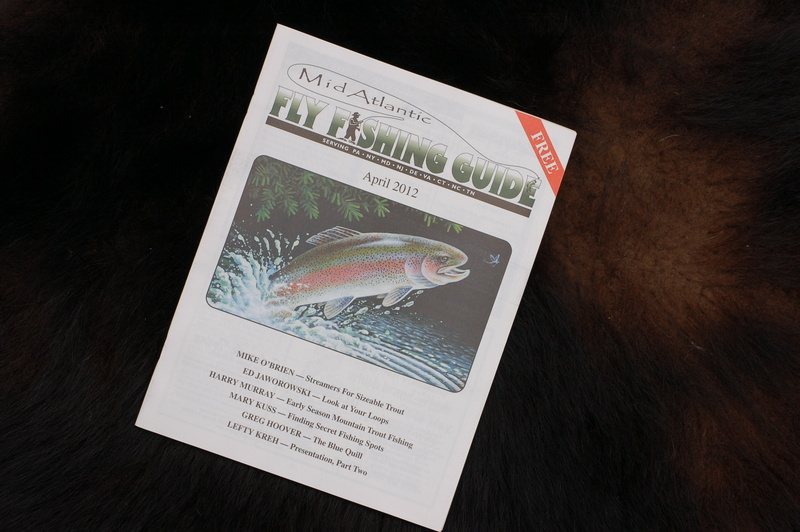 I am pleased to have had some art featured on the April cover of the Mid-Atlantic Fly Fishing Guide. The featured acrylic painting depicts a rainbow trout surging from the water preparing to feast on a mayfly. The title of the original painting is: MEALTIME. I had entered this art in the Delaware Trout Stamp Competition last year. The painting placed, but failed for 1st place. I have entered this contest again. 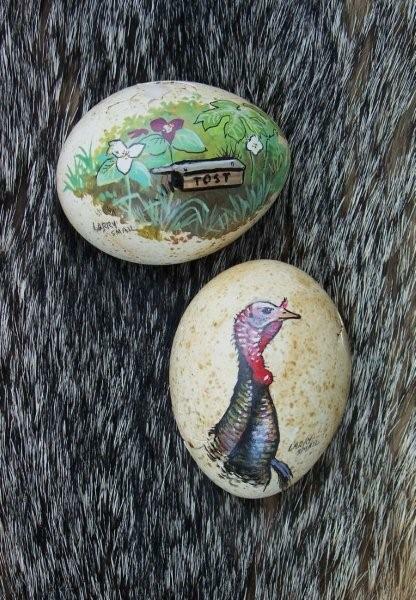 Randy Tost and his friend Big John were both impressed with the painted turkey egg gift. The idea caught on and Randy and his son both felt the need to have some paint splashed on two more. It must be remembered Randy discovered a nest of turkey eggs last spring. The little poults had left the nest with the hen turkey. Randy gathered up three of the eggs with the least amount of shell damage. Randy dropped off the remaining two prepared shells a month or so with requests as to what was to be painted on them. Randy preferred a gobbler’s head and his son wished for a wildflower scene with a turkey call on it. Well, here they are the completed eggs. My hike today was for many reasons. I wanted to enjoy the beautiful spring weather; get some exercise; look and listen for wildlife; photos and to perform a test. As you know, the deer tick issue has become a major problem in Pennsylvania. I love being outdoors, but removing and eliminating 30, 40 to over 60 ticks from my clothes (and sometimes embedded ones on my body) is proving to be a deterrent. I just sent away for a product with permethrin as an ingredient. This material is produced from crushed chrysanthemums. The reviews of the product were very good so I decided to give it a try. You can not use this as most other bug sprays. 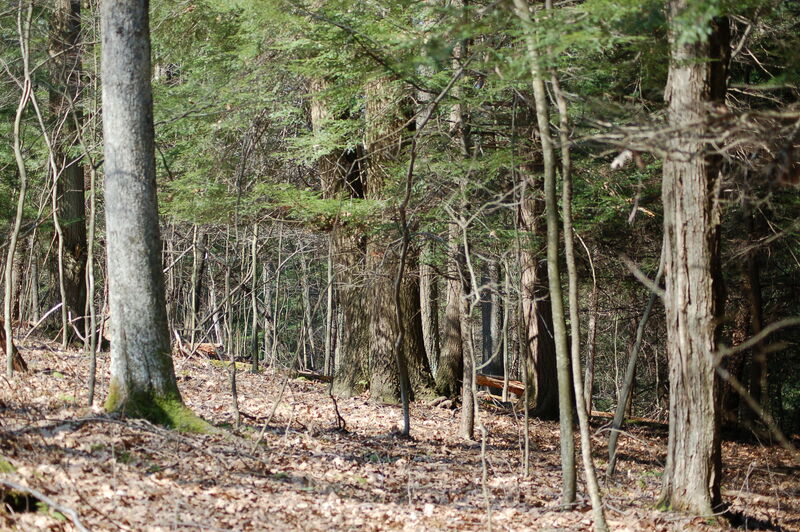 You need to spray your clothes prior (at least two hours in advance)to the hike or hunt. The test of this morning proved to be successful for the most part. However, I walked about State Game Lands 247 as I would have done BT. 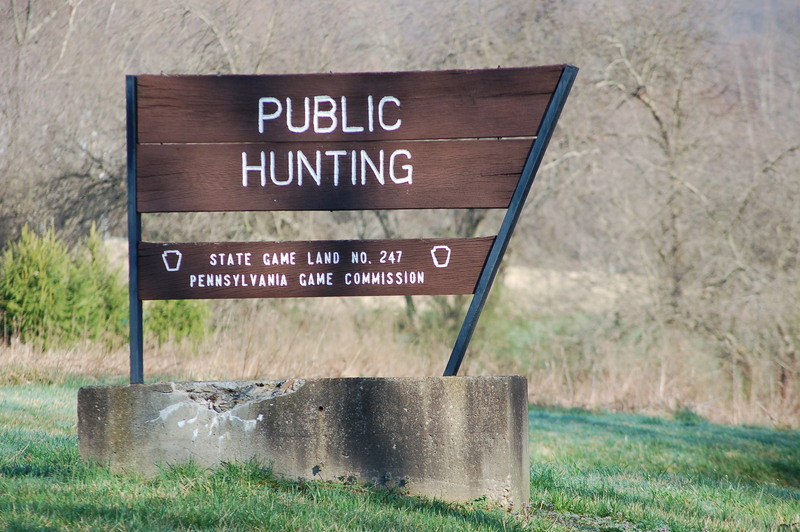 (Before Ticks) The Pennsylvania Game Commission’s food plots were not very high yet. 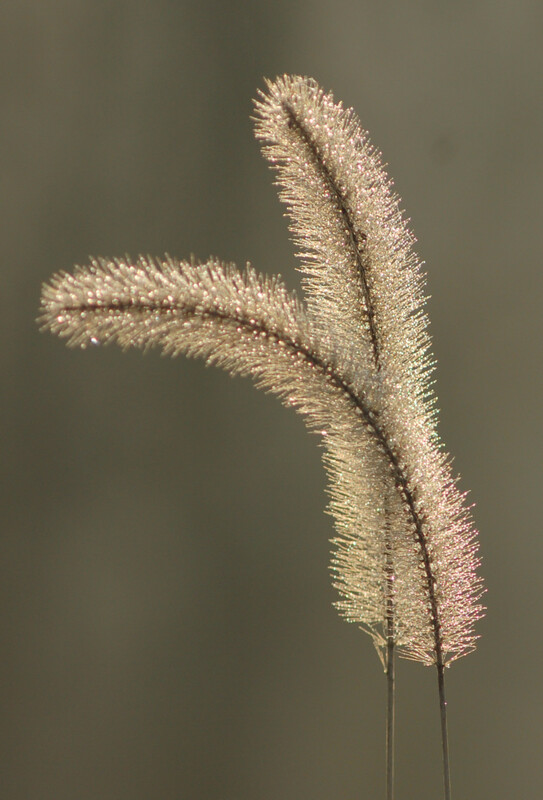 Vegetation averaged from 3 inches to one foot. 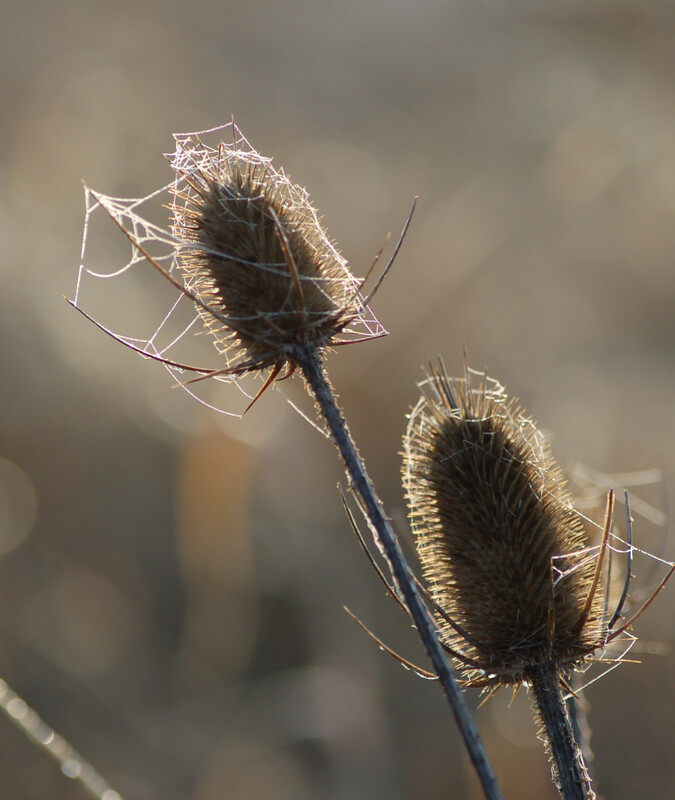 A few areas had higher grasses and dead goldenrod. I removed and killed one tick from my pants. BUT, I have had ticks on me in similiar circumstances here! More time afield will be needed to totally convince me, but things are looking good! 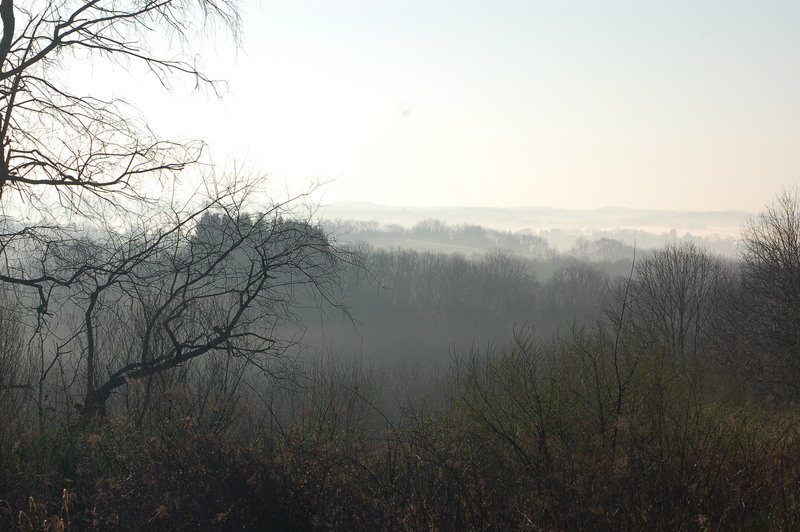 The morning produced a fog that was quickly dissipated once the sun’s heat reached a certain temperature. I heard, at least, four different roosters and saw at least four different ring-necks. 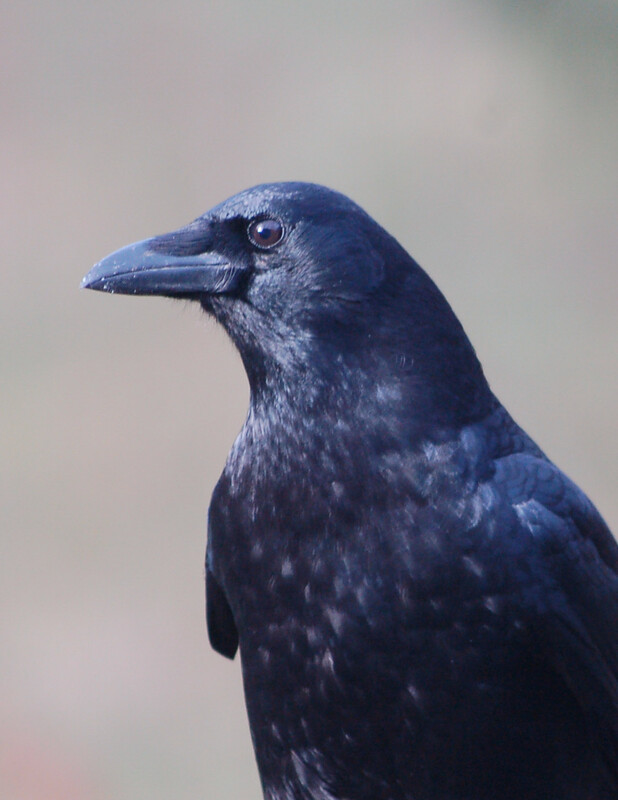 I took about 10 photos of these beautiful birds. I heard a hen turkey and a gobbler off and on throughout the morning.Later I would see a different gobbler among the heavy plant life. I, also, saw a doe and her two fawns from last year. 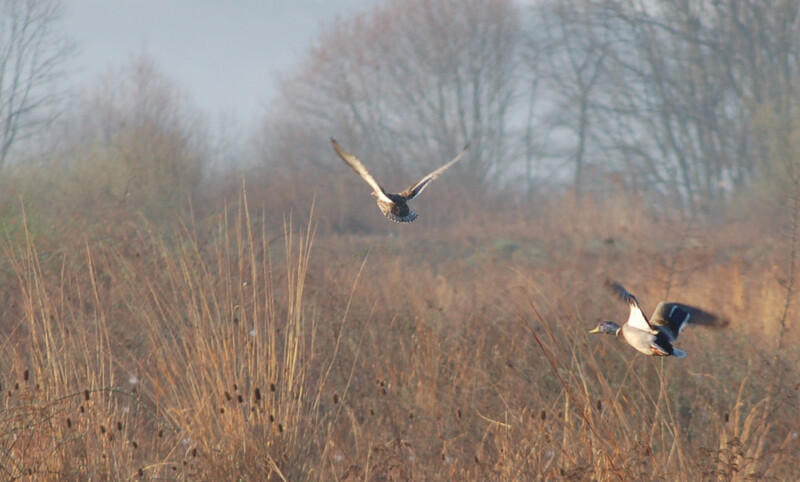 I saw a mallard hen in a field. I approached her and two ducks flew from the field. I have no idea as to why they were so far from water. Many small birds could be viewed darting among the multiflora roses. 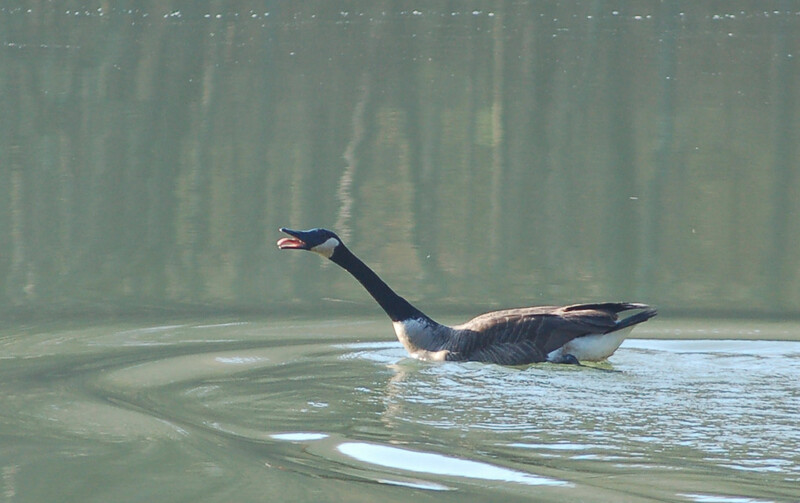 I was scolded by a Canada Goose along a game lands pond. I knew a nest had to be somewhere at the pond’s edge. The two-hour hike was enjoyable, but the temperatures were getting warm by 9:30. I will add more information on this product as time goes on. The day, for mid-March, was to reach into the lower seventy degrees. I decided to head out for a hike and see what I could discover. The Sate Game Lands I decided to patrol was an area where I had been too previous. The only difference today was I was going to cover additional areas where I had not been to before. I could see the harbingers of spring all about. 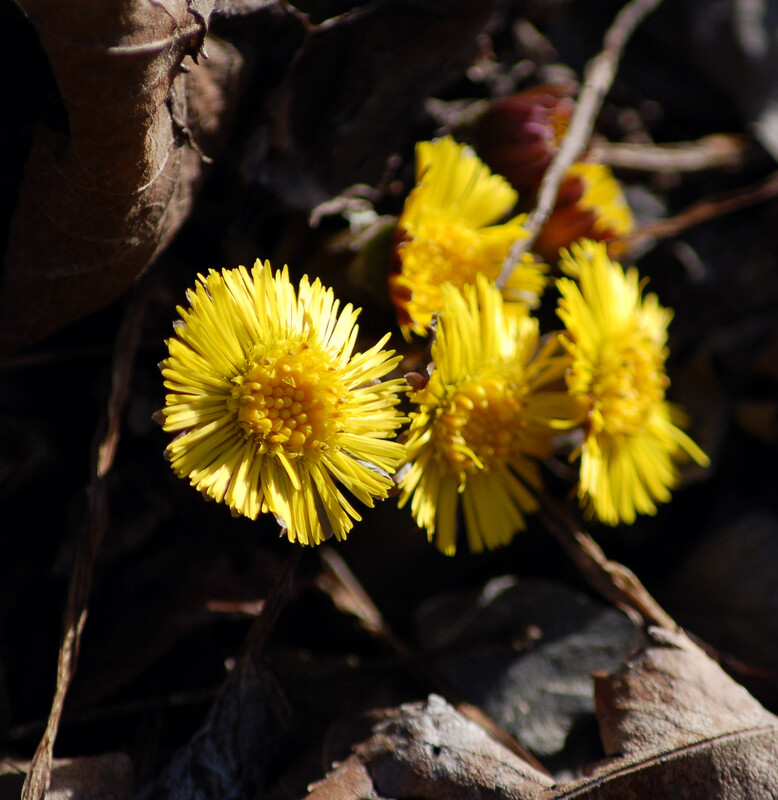 Coltsfoot was blooming all over. 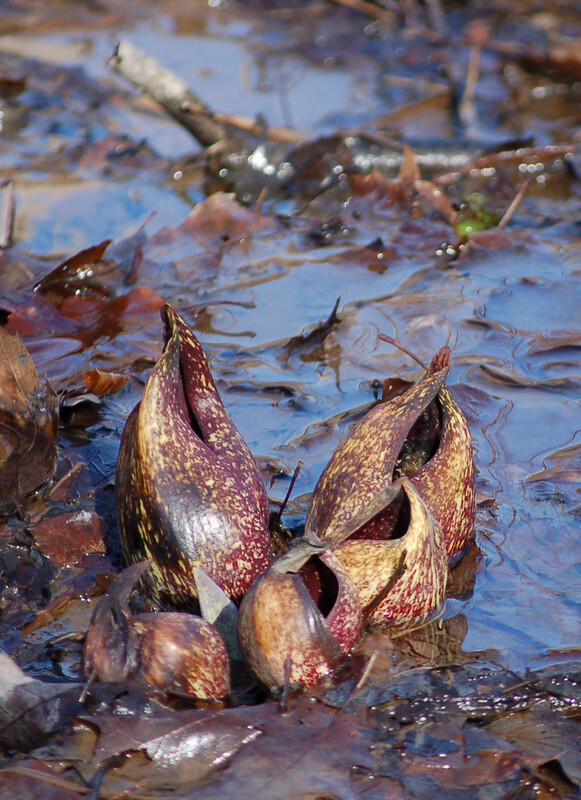 The skunk cabbage was up. 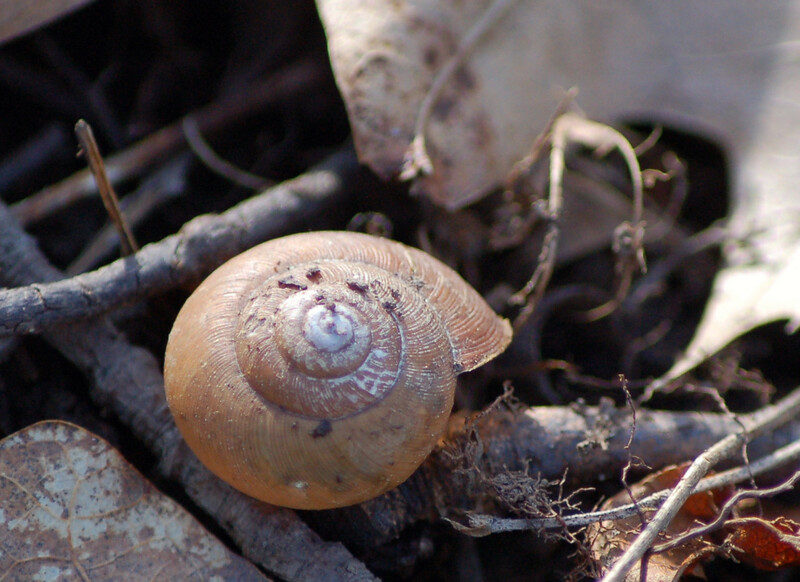 Many other perennials and biennials were in their early stages of growth. Fresh new grass, rich in green could be viewed all about. Maple buds were ready to emerge and the multiflora rose and honeysuckle had begun to leaf out. Every now and then, I discover a tree or two with character. By this, I mean, these are older, mature trees with lots of heavy limbs emerging from the main tree. These trees are few, so I really enjoy observing their stature upon finding one. 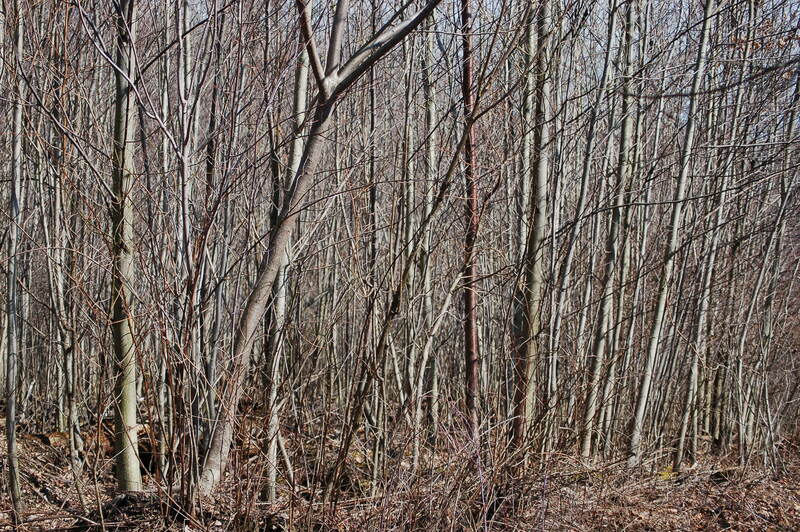 Not many trees are permitted to reach such maturity with mankind’s constant need for wood and the prospect of cash. I found turkey sign all about. I eventually come onto a point on the ridge with fresh scratchings around the wild cherry trees. As I approached the rim of the steep hollow an eruption of wings and a number of turkeys went air-borne. 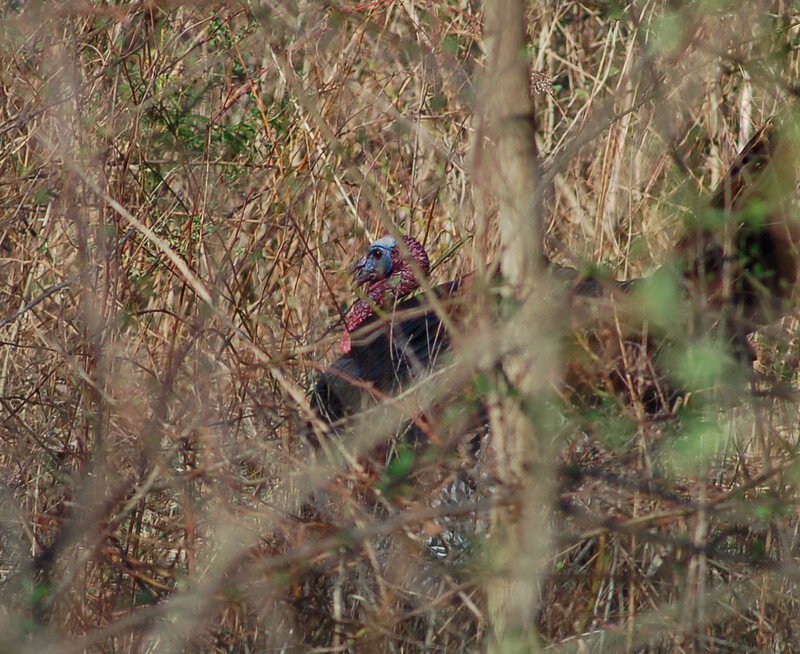 I set down to call and eventually called in a gobbler, but, I failed to get any good photos. 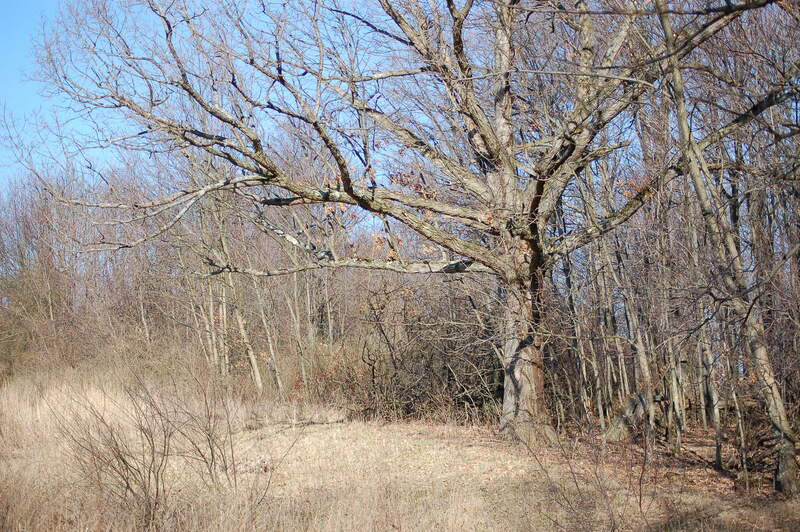 I discovered a large ridge that had been clear-cut in times past. I thought this is great bear habitat. 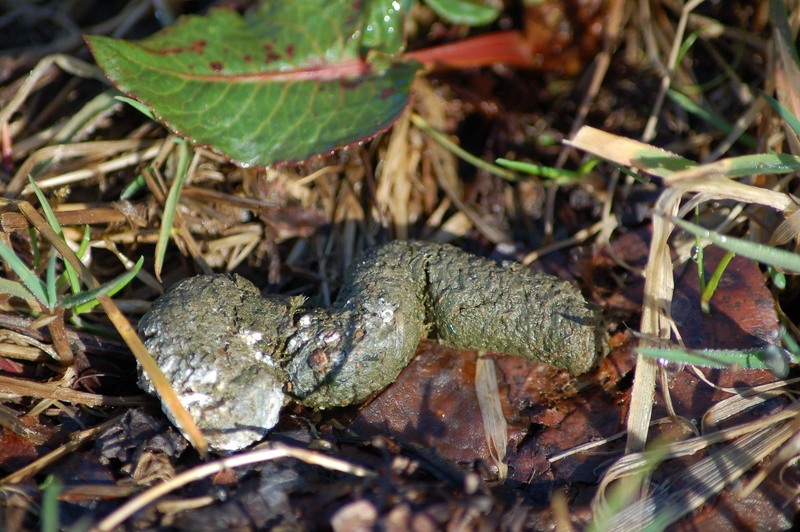 All I saw here was a ruffed grouse and gray squirrel. Of course, there was one negative aspect of today’s jaunt. TICKS!!!!!!!! I HATE THEM!!!! I killed over thirty from my clothes today. I brushed off a number of them two. I was within sight of my vehicle when a burning sensation was felt on my arm. I quickly removed my shirt to see a tick near my elbow. Usually, one never feels their bite, but I sure did feel the burn. I lifted my T-shirt to find another one embedded in my side and a third one crawling along my waistline. THREE MORE TICKS BIT THE DUST! I try to use vigilance on these nasty critters, but I am finding more of them finding my skin to be tasty! My friend, Frank Maus and I elected to travel the Cherry Run area for a hike. (Armstrong County, Pennsylvania)The weather was like spring and to not utilize such a day would be a sin! The hills at the area I chose to hike are destined to be stripped for coal soon, so I felt the need to travel and enjoy. 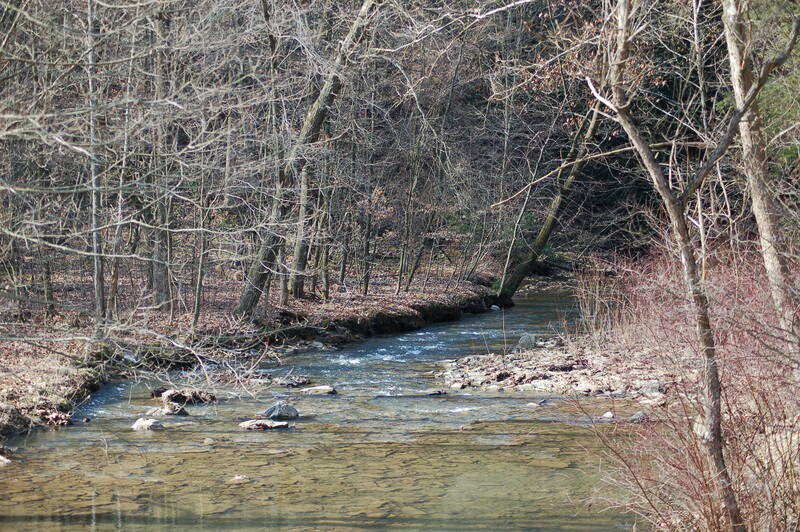 We parked along a bridge by the trout approved waters of Cherry Run. 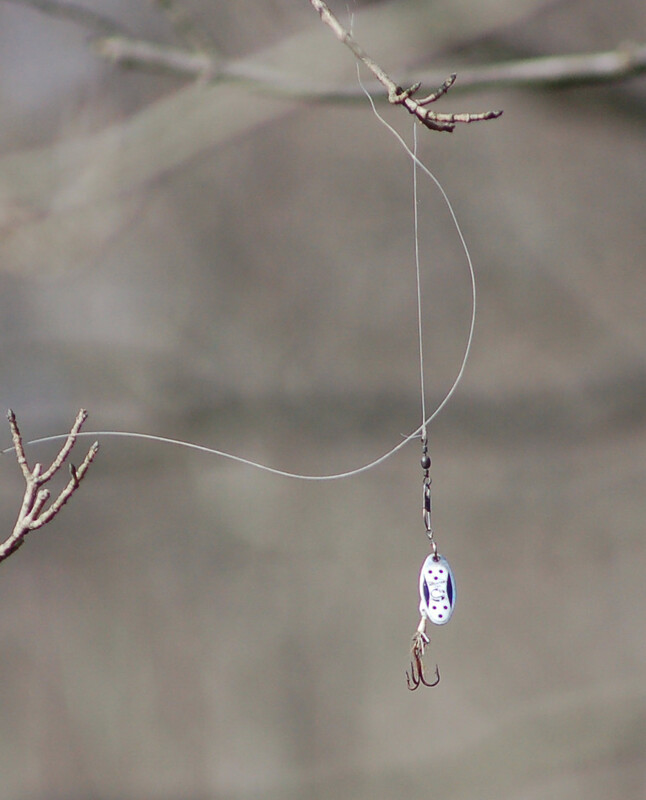 We laughed at the site of fishing line and a lure hanging from a tree limb. The recently stocked trout, apparently, proved to much of a temptation for someone. The travels began walking uphill along Wright Road until we reached the top of the hill. Cherry Run has some ruggedly steep and high hills for the county.These were the hills I grew up crawling over from a lad until now. I have grown to love this country. We walked along areas of fields bordered by big tracks of woodlands. 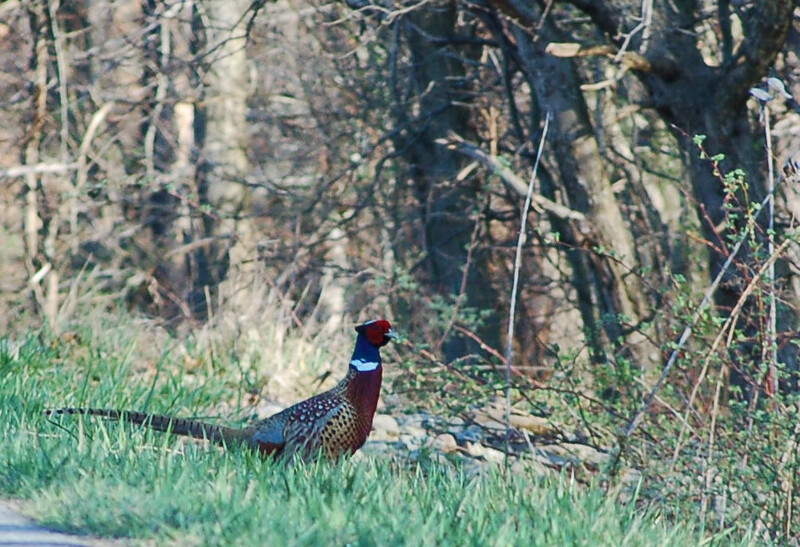 We expected to see turkeys strutting in these fields, but the big birds were absent. Some of the critters we saw included a squirrel and red-tailed hawk. I noticed a few bluebirds too. 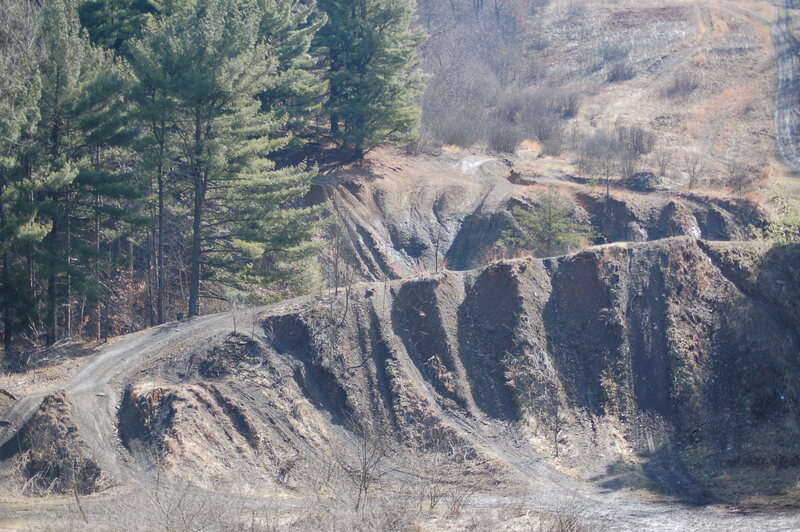 Eventually we completed the ridge and began the trek downslope to the road that parallels Cherry Run. The truck traffic was growing as gas wells and stripping jobs are becoming reality and more numerous. I had some firsts for the year. 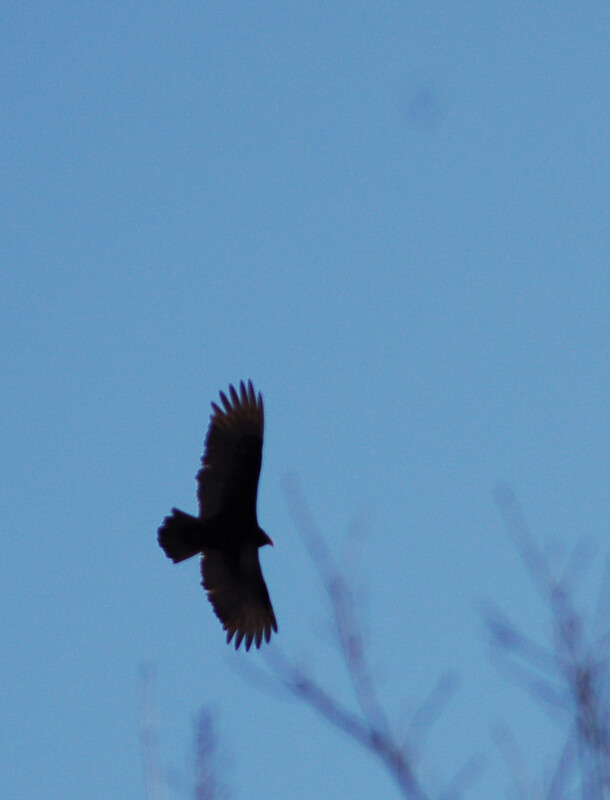 I saw my first red-wing blackbird; coltsfoot blooms and later I saw seven turkey vultures flying over the house. Spring is here. I saw Grackles on March 1 and heard killdeer serenading the skies a week prior to the grackle sightings. The walk was approximately 5 miles and we enjoyed the day very much. While traveling along a very rural road, Frankie said, “Did you see that? 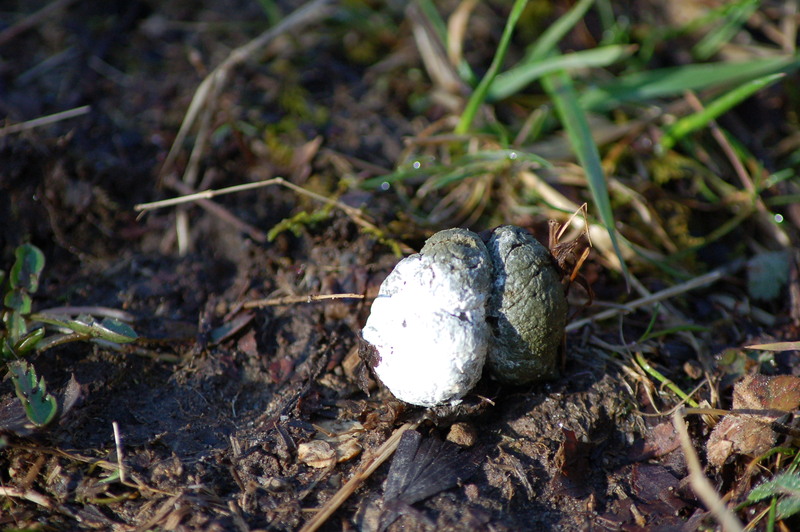 It looked like guts of something.” He saw it coming off of the bank to the ditch-line of the road. I stopped and sure enough a groundhog skin was laying there. We pondered about this and figured someone has skinned a ‘hog to eat and some critter must have carried the hide to the pine. We suggested the breeze caused the hide to fall at that precise time as we drove past.????? ?